An American institution, this cake is our beauty queen - though not all of her beauty is natural. 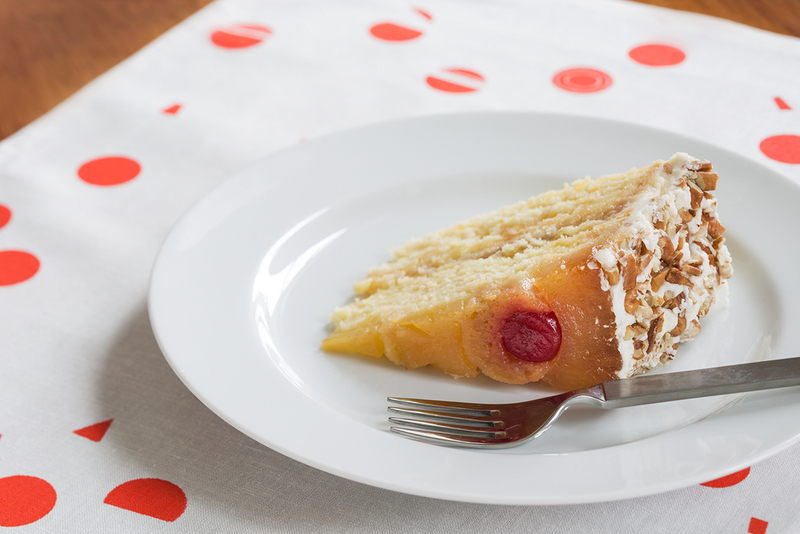 Finished with sliced pineapple and marischino cherries, this pineapple cake with pineapple buttercream frosting is coated with crushed pecans from Gina's family farm in Texas. More than just a pretty face, this cake is filled with delicious inner beauty!